We regularly review your direct payments to ensure they are being used in line with your care and support plan. You don't have to send in your statements as we can see them online. If you use a bank account for your direct payments, you have to send in your bank statements. 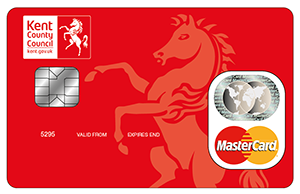 If you would like a Kent Card, please talk to your case manager or ring the Direct Payments Helpline on 03000 413 600. Your new Kent Card and PIN will be sent to you within 2 weeks.